Modern life is full of stressors and energy drains. Your everyday life is busy enough with work, family responsibilities, maintaining an active lifestyle, and investing in your personal relationships. Add to that the stress of traffic, chores around the home, and other responsibilities, and your life can feel crazy at times. 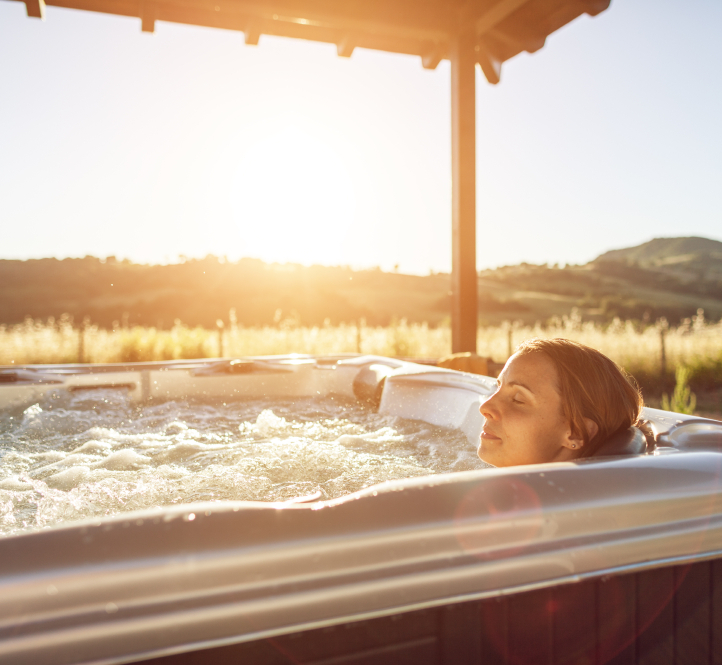 If you've been considering the improvement of your home by purchasing a new spa, you'll be glad to know that spas can help you reduce your stress levels and get more joy out of life. The hot water in a spa helps dilate your blood vessels, increasing blood flow to sore and damaged tissues. For those who spend the day in an uncomfortable office chair or on their feet, this helps undo the damage of the average workday. Buoyancy of the water helps reduce your body weight in that environment by as much as 90%, relieving pressure that builds up on your joints and muscles. Massaging jets in the latest spas for sale provide an active force to relax muscles, while also relieving pressure on your nerves. A key weapon in the battle against stress is a good night's sleep. In our constant-connection world where smart phones and tablets are always within arm's reach, restful sleep can be elusive for many. When you don't get enough sleep, stress levels not only fail to subside, they can actually increase as you fail to recover from one stressful event before suffering through another stressful day. The Sleep Journal found that raising your core body temperature for 15 minutes in warm water, 90 minutes before bed time, helps relax the body and induce more restful sleep. Purchasing a new spa is an excellent option for reducing the physical impact of stress, while also aiding in the body's natural recovery processes. Before you decide against that spa for sale, think about the negative impacts that stress has been proven to have on your life. Stressful lifestyles, according to the US Centers for Disease Control, contribute to nearly half the early deaths of those under 65 years of age. Additionally, the National Stress Management Association has found that stress can enhance the negative impact of other physical conditions in your body, such as gastrointestinal problems, cardiovascular disorders, tension pain, headaches, and arthritis. Investing in a new spa is a great way to combat the physical and mental rigors of stress. Less than two hours a week in a spa can help you reduce stress, prevent it from impacting other physical conditions, and improve your body's ability to recover through restful sleep. This entry was posted in Hot Tubs on February 21, 2015 by admin.